If you had 38 minutes to peek outside the “mon-fri, 9-5 office life” confines to satisfy your curiosity of those that live the surf/skate industry lifestyle then this film is worth the watch. You could call it proliferation of “counter culture” livelihood. We are human and we enjoy finding ways to live our lives standing on 2 feet (preferably on top of board that’s moving really fast). Detaching yourself from what everyone else is doing or thinks is “right” can be difficult for some. If you live in modern society then try leaving your smartphone at home for a whole day and see what happens. Here’s a documentary about certain individuals who don’t find that task to be too difficult in today’s world. 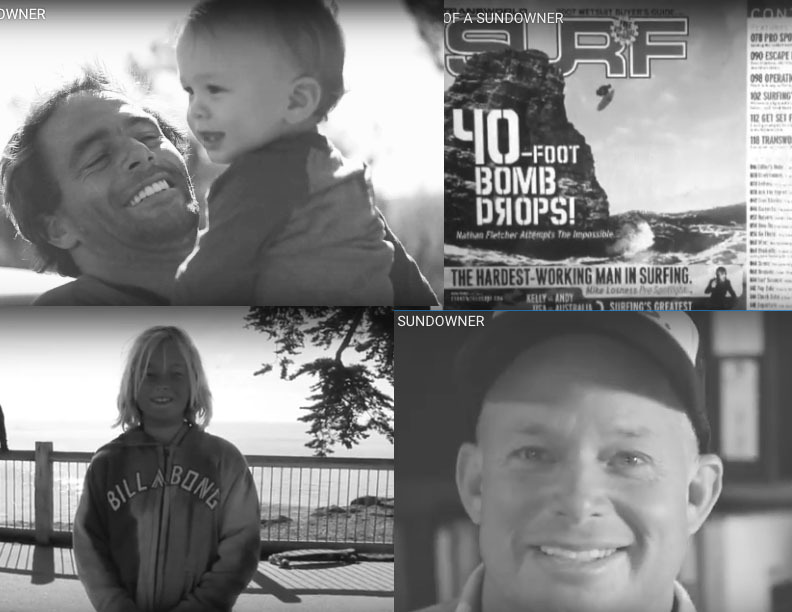 Features include daily life for Nathan Fletcher and family, our buddy Dave Nelson and a host of others who keep things real in this life we live. Keep an eye out for a little cameo appearance by a micro sized Koa Depuyt!